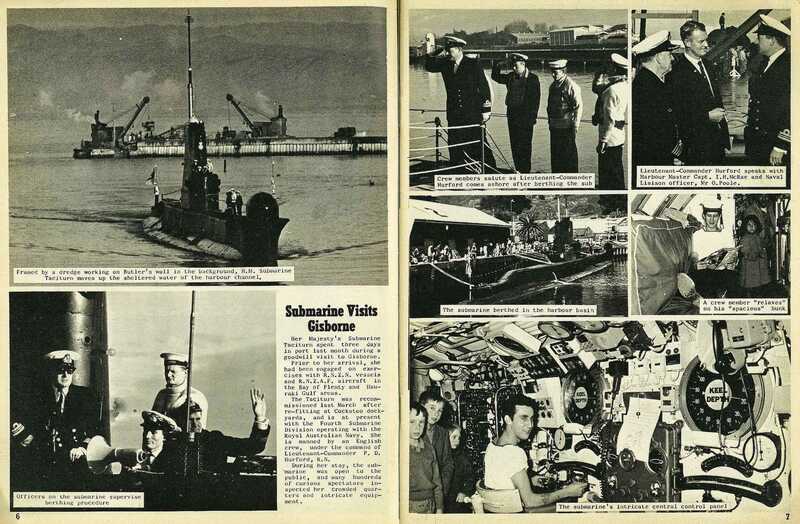 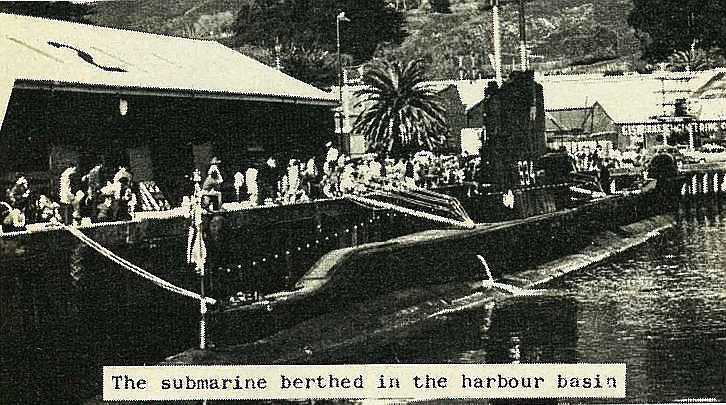 Her Majesty's Submarine Taciturn spent three days in port last month during a goodwill visit to Gisborne. 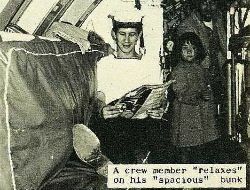 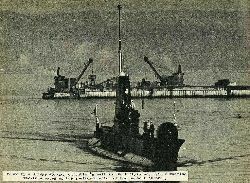 Prior to her arrival, she had been engaged on exercises with R. N. Z. N. vessels and R. N. Z. 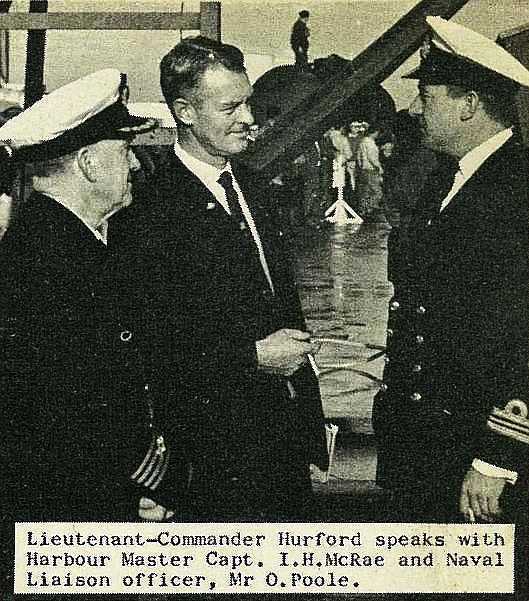 A. F. aircraft in the Bay of Plenty and Hauraki Gulf areas. 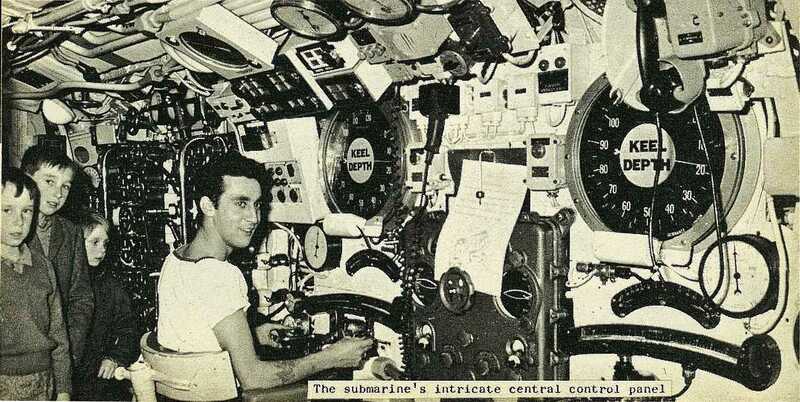 The Taciturn was recommissioned last March after re-fitting at Cockatoo dockyards, and is at present with the Fourth Submarine Division operating with the Royal Australian Navy. 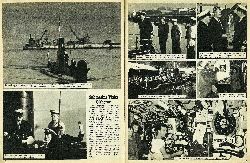 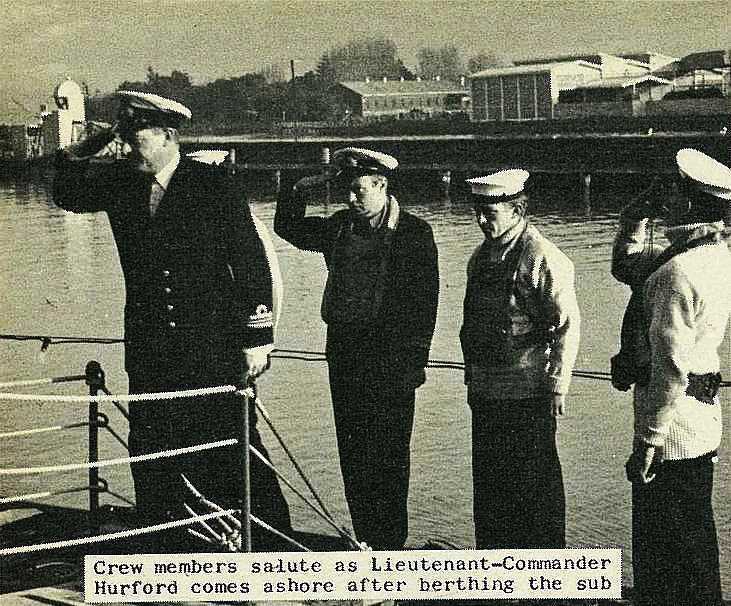 She is manned by an English crew, under the command of Lieutenant-Commander P. D. Hurford, R. N.
During her stay, the submarine was open to the public, and many hundreds of curious spectators inspected her crowded quarters and intricate equipment. 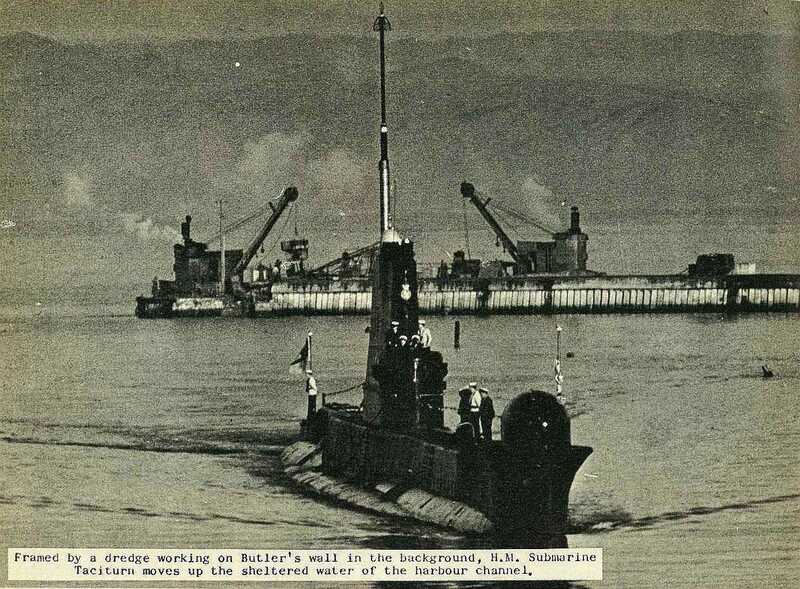 Framed by a dredge working on Butler's wall in the background, H. M. Submarine Taciturn moves up the sheltered water of the harbour channel. 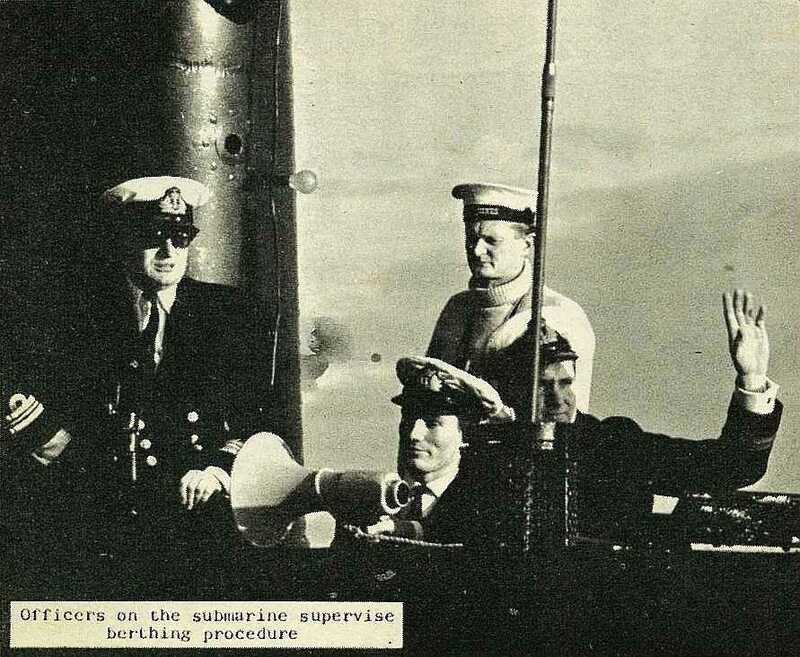 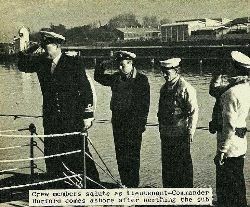 Officers on the submarine supervise berthing procedure. Lieutenant-Commander Hurford speaks with Harbour Master Capt. I. H. McRae and Naval Liaison officer, Mr O. Poole.